Inside, you'll get in-depth reviews of all nine test subjects you'll encounter on the ASVAB, strategy cheat sheets for verbal, math, and general components, and tips to help you pinpoint your weaknesses and hone your test-taking skills in the areas where you need the most help. Your book purchase also includes a one-year subscription to online study tools, where you'll access six ASVAB practice tests, one AFQT practice test, 500 flashcards to improve your vocabulary, and tools to track your progress. The ASVAB is the most widely used multiple aptitude test in the world. 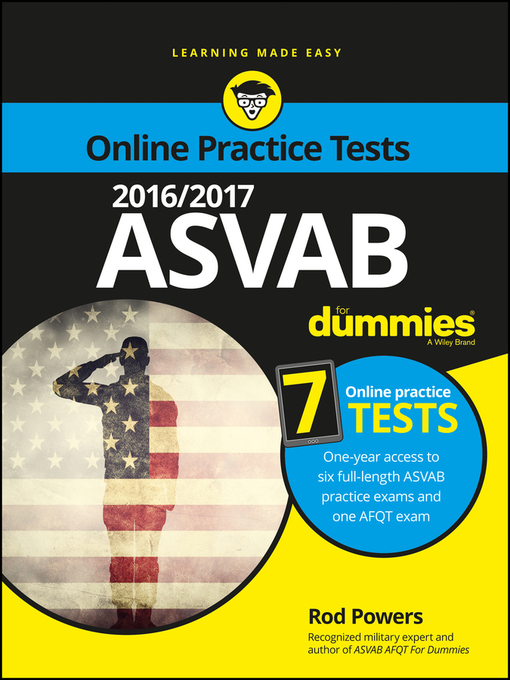 If you're one of the more than one million people preparing to take the ASVAB this year, this updated edition of ASVAB For Dummies gives you everything you need to get the score you need to get the military job you want! If you have your sights set on enlisting in the military and want to ensure you perform your very best on test day, ASVAB For Dummies makes it easier.